Lantra Awards accredited. Eligible for Farming Connect funding. Farmers wishing to develop their business management skills. Identify examples of the above terms. Analyse financial documents for examples. Describe the difference between management accounts and tax accounting. The emphasis on the course is to customise to their own farm, and systems. The course is 1 day in length . Price per delegate £225 plus vat .Vat can be reclaimed by vat registered businesses, 80% Farming Connect funding eligible. We will employ both computer based and paper based resources, and handouts will available as hard copy as well as electronic. Clients will be encouraged to bring their own laptops, but not essential . We anticipate local delivery to groups of 6 in autumn 2011, with a mop up course offered in Feb 2012 for any who missed their local venue, at Lantra Builth Wells. Great project available to businesses involved in forestry , run and managed by MWMAC. Contact mwmac direct, Anne and Chris Hughes , numbers on the photos. 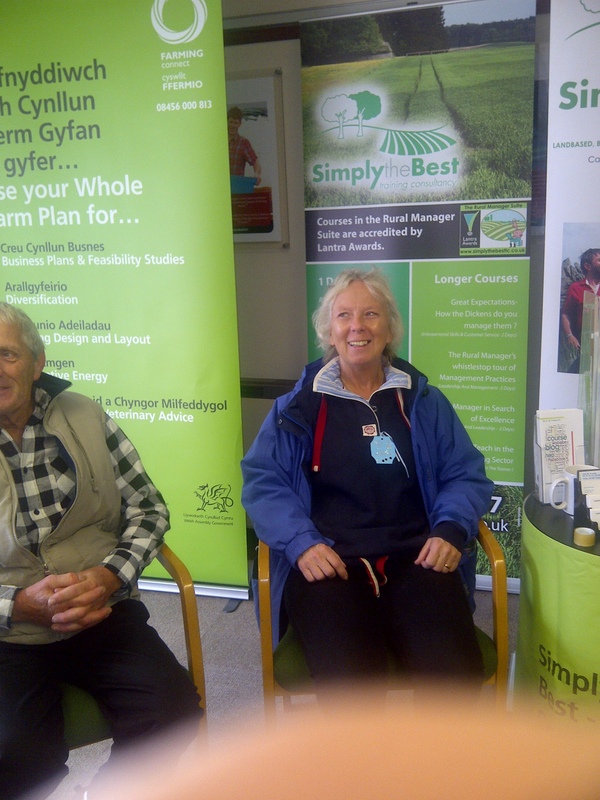 Mrs Joan Lean, MBE visited our stand at the show- we curtseyed, wiped her chair then she hit us !! Joan has served 40 years at the Welsh Assembly, formerly the welsh office, and has been duly honoured with a MBE in the Queens birthday honours list ! Very well deserved we say at STB! Great to see all the young farmers of glamorgan, and some not so young farmers of glamorgan during the week! Great to catch up with so many friends. ing a respite sit down !